The Ecco LED Mini is a recessed ceiling Stahler of the LDM designed on the essentials under the motto of reduction and has been produced. 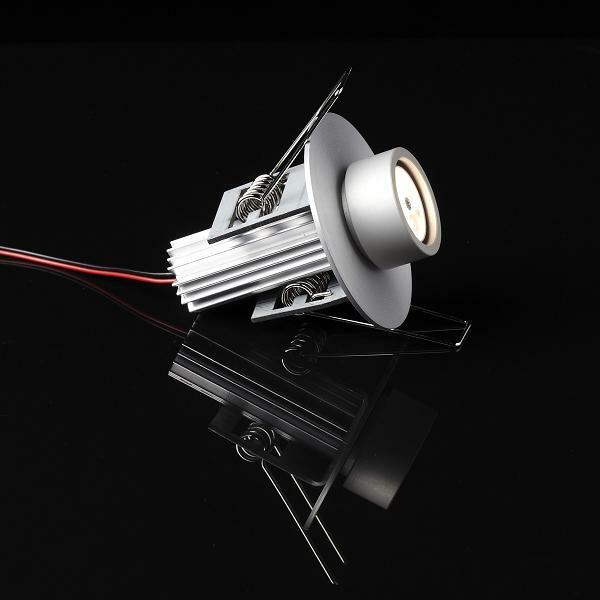 Thus, the existing aluminum radiator of very small size, can through the 7.35 Watt Power LED but to create a strong, energy efficient light. The lamp is held in one of five subtle colors and adapts easily to their environment. The Ecco LED mini downlight comes with three lens attachments through which the light effect of the light can be adjusted individually. So beam angle of 15 °, 25 ° and 43 ° are possible, whereby the Ecco LED Mini Downlight can serve as a targeted and highly focused spot or able to provide a larger area lighting. By focusing on the pure luminosity and efficiency of Ecco LED Mini Recessed spotlight is a perfect addition to any hallway, office, kitchen or bathroom area.